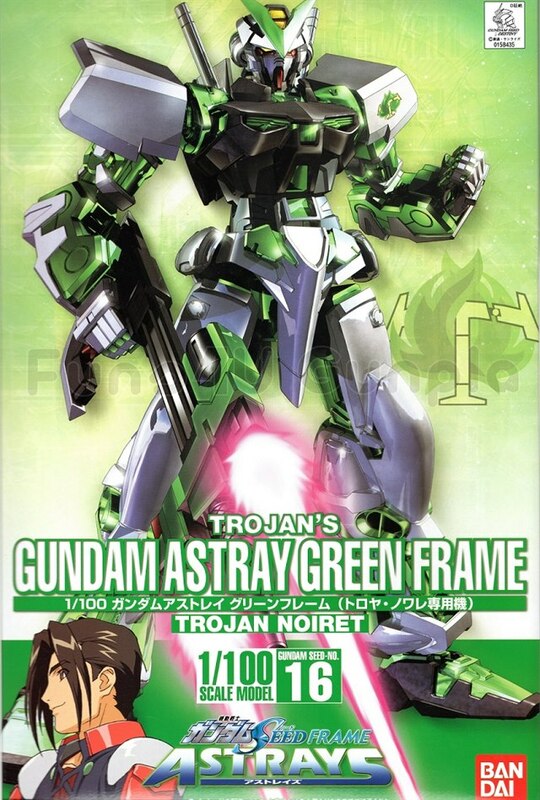 First introduced in the "Mobile Suit Gundam Seed Frame Astrays" manga that ran in the Dengeki Hobby magazine, Trojan Noiret's custom Gundam Astray Green Frame now receives the coveted 1/100-scale plastic kit treatment from Bandai! 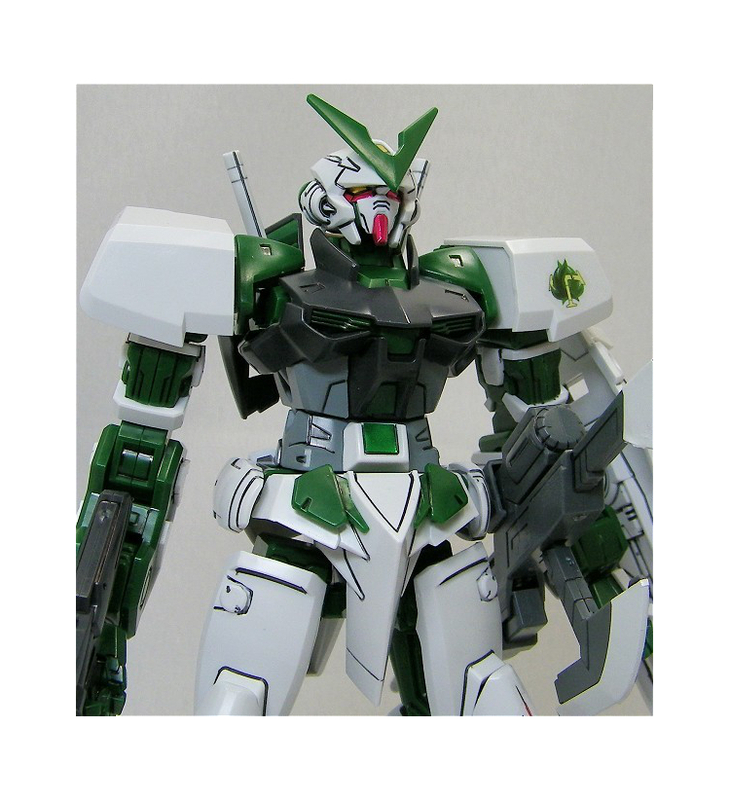 This much-anticipated snap-fit kit release comes sharply detailed and molded in its distinctive dark green and white colors. 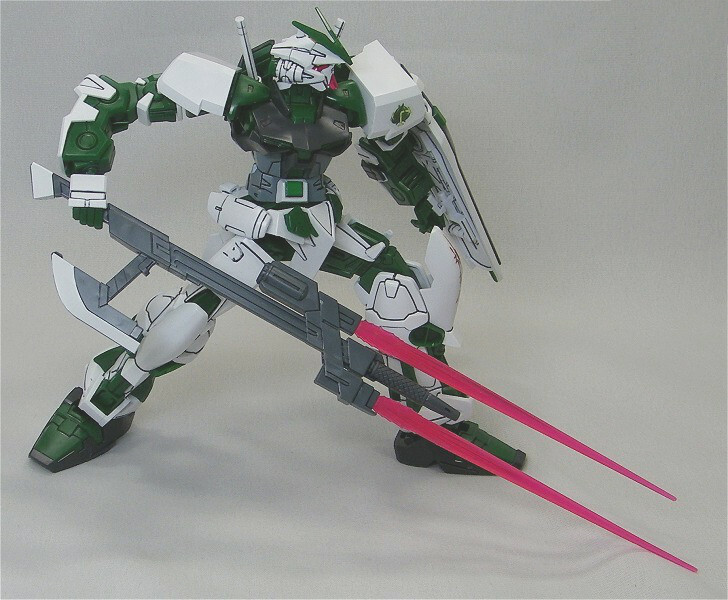 Its polycapped joints allow it to be set in various dynamic action poses. 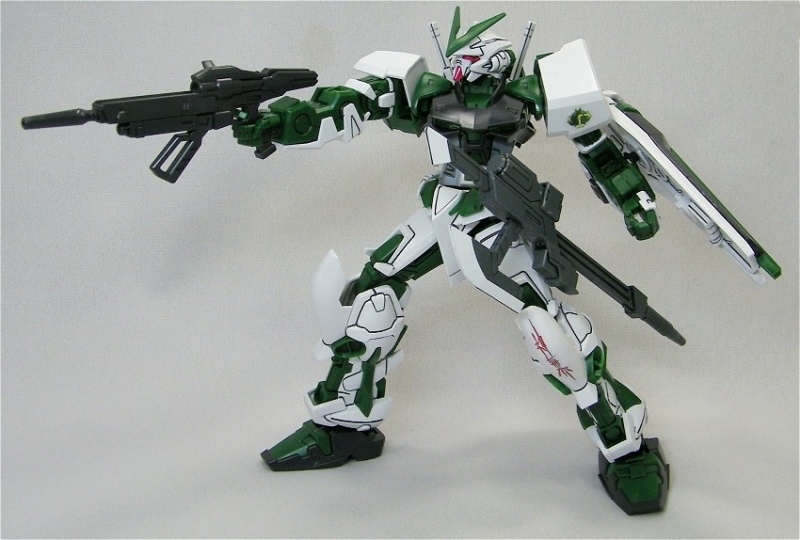 Weaponry includes its signature Twin Sword Rifle that can switch between sword type and rifle type, two Beam Sabers, and a shield. Also included in the set is an 8.5cm unpainted figure of Trojan molded in beige. A sheet of foil stickers and a sheet of Trojan Noiret custom marking stickers are provided.